tailored meals from Community Servings. Community Servings’ healthcare partners, including Commonwealth Care Alliance, who were also interviewed in this article, pay for about 20% of our meals. With our new research showing a 16% net reduction in healthcare costs for those receiving our meals, the number of insurers who cover our meals program is expected to rise over the next several years. 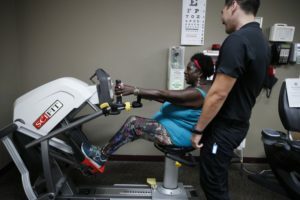 Read the full article, “Healthcare Industry Branches Into Fresh Meals, Rides to Gym” by the Associated Press.